Looking for some family-friendly fun for Easter? 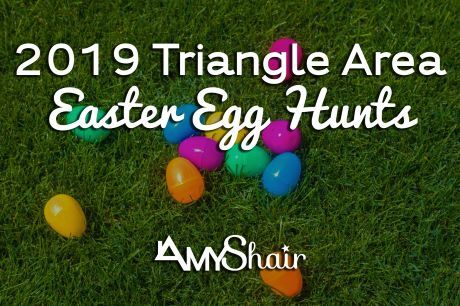 Egg hunts and Easter festivals will be happening across the Triangle this weekend, so pack up the family and get ready for a hoppin’ good time! Many events will offer photos with the Easter Bunny and other Easter-themed activities. Scroll the list below to find the offering(s) in your town. Wishing you a happy and safe Easter holiday! The city of Raleigh Parks & Rec department is offering egg hunts through 10 local community centers. To find the community center nearest you, click here, then click “City-Wide Special Events” in the left menu, then click “Show Courses” under Egg Hunt. Hunts will begin at approximately 11am. The Apex Community Center is hosting two egg hunts on Saturday, April 13th. The first hunt at 9:15am is for children with disabilities or who may otherwise have difficulty participating in the traditional egg hunt. The traditional egg hunt will happen at 10am. Both events offer the opportunity to meet the Easter Bunny. Location: Apex Community Center, 53 Hunter Street, Apex. Click here for more info. Parkside Town Commons in West Cary is hosting a free Easter event for the whole family. Festivities include an egg hunt for children 10 and under, visits with the Easter bunny, trackless trains, face painting, bounce houses, games, crafts, music, prizes, & more! Saturday, April 13th from 11am to 2pm. Rain date: Sunday April 14th. Location: Parkside Town Commons near Five Guys Burgers & Fries. Click here for more info. Bond Park’s annual Easter festivities take place on Saturday, April 13th from 9am to noon. Activities include bounce houses, face painting, and a free magic show at 11am. Two egg hunts will take place at 12pm, a traditional egg hunt and a hunt for children with special needs. Location: Bond Park, 801 High House Rd, Cary. Click here for more info. Breakfast with the Bunny is a fundraiser for the Cary Teen Council which offers a continental breakfast, photos with the Easter Bunny, and a private egg hunt for ticket holders only. The breakfast will take place on Saturday, April 13th from 9-10am. Tickets are limited and must be purchased in advance at the Herbert C. Young Community Center in Cary, where the event will take place. No tickets will be sold the day of the event. This event is rain or shine. Location: 101 Wilkinson Ave, Cary. Click here for more info. Crossroads Plaza will host a free Easter event on Saturday, April 13th from noon to 5pm. Festivities include photos with the Easter bunny, bounce houses, a rock climbing wall, face painting, train rides, crafts, raffle giveaways, and more! Egg hunts will begin at 1pm, 2pm, 3pm, and 4pm. Location: 430 Crossroads Blvd, Cary. Click here for more info. Carrboro. Click here for more info. Visit West Point on the Eno on Saturday, April 13th from 10 to noon for an egg hunt, games, crafts, and face painting. Children will be divided according to age for the egg hunt, with all age groups starting at 10:30am. Location: 5101 N Roxboro Road, Durham. Click here for more info. Campus Hills Park will host an egg hunt on April 13th at 10:15am. Children will be divided into groups according to age. The Easter Bunny will be available for photos after the egg hunt. Location: 2000 S Alston Avenue, Durham. Click here for more info. The town of Fuquay-Varina will host an Easter egg hunt on Saturday, April 13th at 10am in South Park. Children ages 10 and under are invited to participate and the Easter bunny will be in attendance for a photo op. After the egg hunt, venture into Downtown for the Candy Hop: downtown merchants supply candy and goodies while parents take children shop to shop with baskets to collect the treats. Location: 900 S Main St, Fuquay-Varina. Click here for more info. The town of Garner is hosting a Spring EGGstravaganza on Saturday, April 13th from 10am to 12:30pm. This free event at Lake Benson Park will feature egg hunts by age group, photos with the Easter Bunny, vendors, food trucks, games, crafts, and more! Food will be available for purchase from S&K Funnel Cakes, Traveling Dogs, Rita’s Ice, and Lorraine’s Kitchen. Location: 921 Buffaloe Rd, Garner. Click here for more info. The Orange County Community Egg Hunt will take place on Friday, April 12th from 5:30 to 8pm at River Park. The event will have 3 egg hunts divided by age, free crafts, and visits with the Easter Bunny. Inflatables, face painting, and concessions will be available for a small fee. Location: 228 S Churton St, Hillsborough. Click here for more info. The town of Holly Springs is hosting a Spring Fling and Community Yard Sale on Saturday, April 13th at Jefferson L. Sugg Farm at Bass Lake Park. The yard sale runs from 8am to noon and requires preregistration to sell items. The Spring Fling event from 10am to noon will feature games, inflatables, music, and more! The event will culminate with an egg hunt for the kiddos at noon. Location: 301 Stinson Avenue, Holly Springs. Click here for more info. The town of Morrisville is hosting an Easter egg hunt for children ages 2 to 8 on Saturday, April 13th from 10 to 11am. The egg hunt will be held on Field #1 at Morrisville Community Park. Bring your cameras because the Easter Bunny will be on hand for a photo op! Location: 1520 Morrisville Parkway, Morrisville. Click here for more info. Central Carolina Community College is hosting an Easter Egg Hunt & Spring into Safety event from 10am to 1pm on Saturday, April 13th. The event will feature bounce houses, children’s games, safety demonstrations, and an egg hunt for children up to age 12. Concessions will be available for purchase. Location: 764 West St, Pittsboro. Click here for more info. Wake Forest Parks & Rec is hosting their annual egg hunt on Saturday, April 13th from 10am to noon at E. Carroll Joyner Park. The event will also offer Easter-themed arts and crafts plus games and a free raffle. Egg hunts will be divided into waves by age; see website for details. An egg hunt for children with special needs will be held at 11:30am. Location: 701 Harris Rd, Wake Forest. Click here for more info. Are you planning a move this spring or summer? 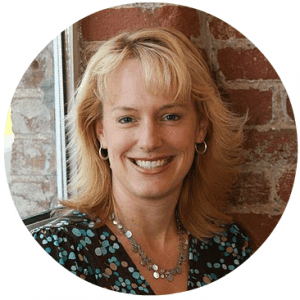 Contact Amy for Your Shair of the Market! She’s the real estate expert the Triangle area!